大空にちいさい秋が！ / Autumn comes in the Air! Autumn comes in the Air! It was extremely heavy rain on Sunday. 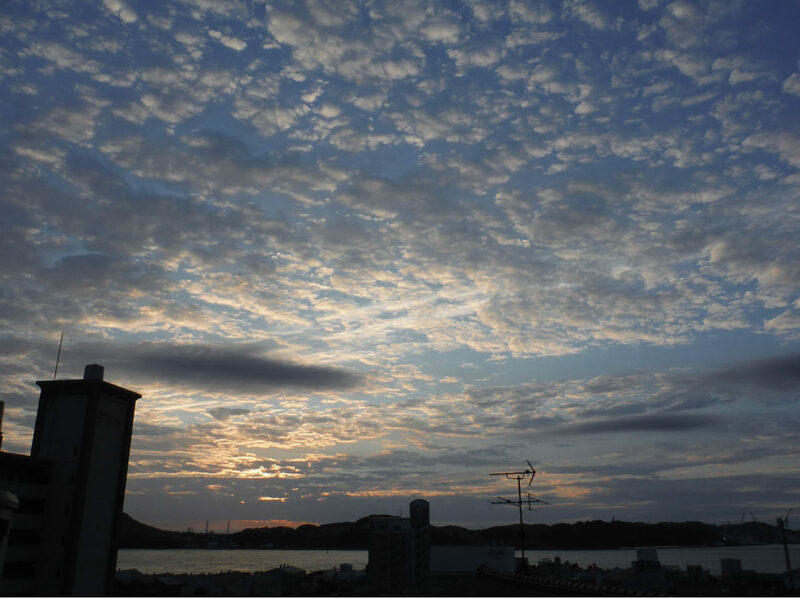 So I post the Saturday Sky from TOUKA. Can you see a little autumn in this air? Thank you and you have a nice autumn weeks. パワースポットで乱舞！ / Wild Dance at Power Spot! Wild Dance at Power Spot! I could see partly blue sky before 9AM. to the Power Spot in the backyard of TOUKA. 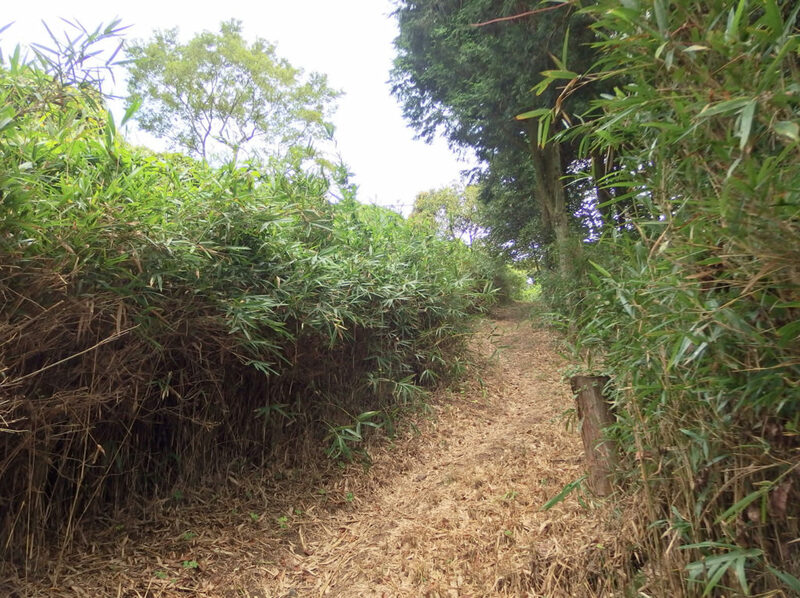 One month ago, before Rio Olympic was started, trail was covered by bamboo bush. 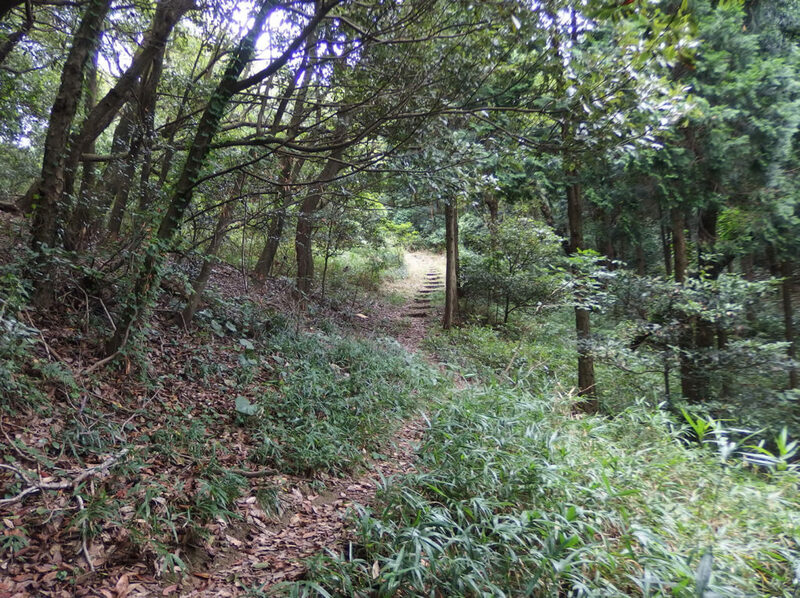 But whole path was well maintained, and it was easy to climb now. At the top, I was in the middle of wild dance again. 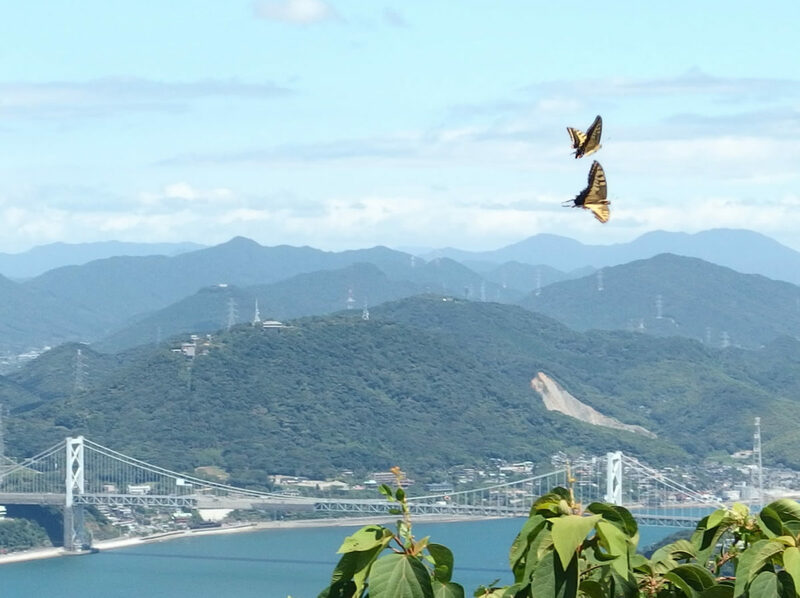 It was wild dance of Siebold’s dragonflies last time, but this time that of swallowtail butterflies. They are chasing each other very fast (not like butterfly), as they are fighting for lover. As I feel fantasy with seeing butterflies flying in fine view, I create a petit event “Feel the Energy Trekking” to share this experience. If there are someone who are interesting to move body in the cool autumn air, please come to join this event. Thank you and you have a cool Sunday! TOUKA’s ”Feel the Energy Trekking” for spectacle Kanmon View. Now, Summer is almost over, and Fall is just around corner! Weather becomes a little cooler and best time to move your body. the mountain in Komorie (TOUKA’s backyard mountain)! The view is not just how it looks like. with your whole body and all sense. This event is planned for people who are interested in petit active outdoor. – Cook Authentic Japanese outdoor food “ONIGIRI” together. – Do refreshing stretch and healing at the top of mountain. – Eat ONIGIRI Breakfast there. – Go back to TOUKA (around noon). 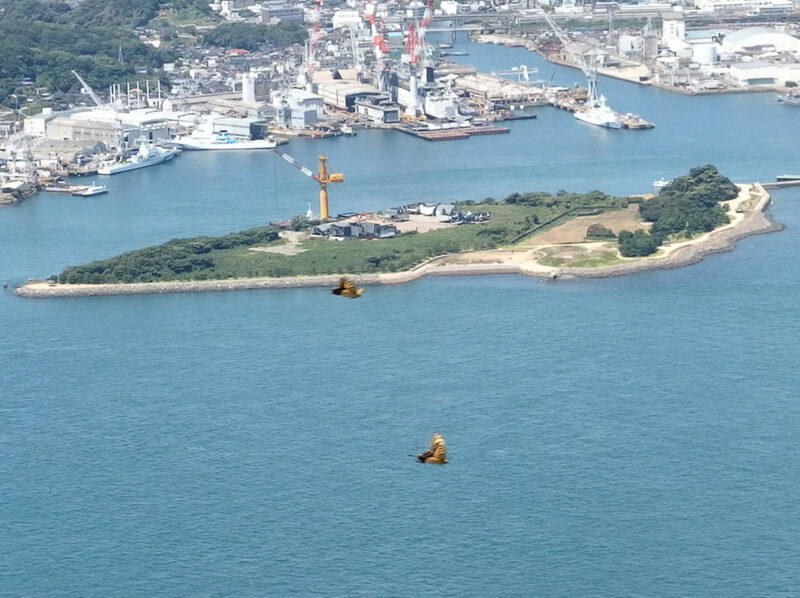 (You can go to MOJIKO for sightseeing, if you want. No extra fee, just stay in TOUKA at standard price. – Up to 30% chance of shower: = Go mountain. – 50%: discuss with all attendees “Go or No-go”. – 80% or more: no-climbing. * Luggage can be kept in TOUKA until Saturday evening. * Shower is available after come back to TOUKA from trekking. * Check-out will be 14:00 for event attendee. * Put “attend trekking” on note field of TOUKA’s reservation form. Let us watch Kanmon View like Cover Photo above together!